Is Lonzo Ball destined for a future in hip-hop? 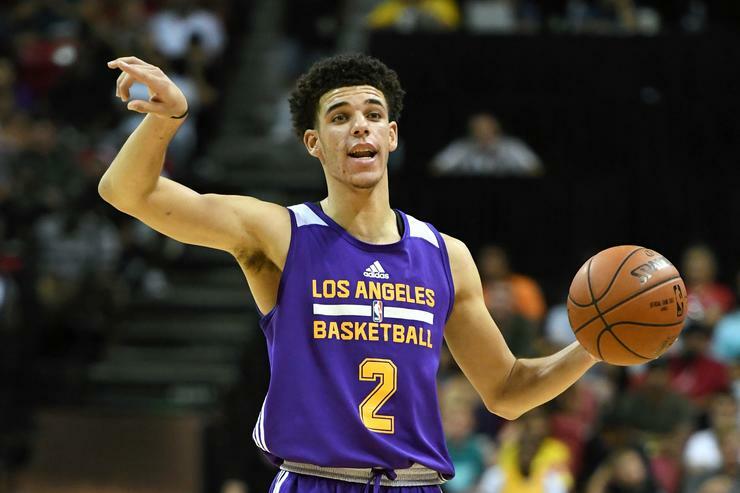 Lonzo Ball has been turning heads with his basketball prowess, securing a spot on the Los Angeles Lakers for next season's campaign. 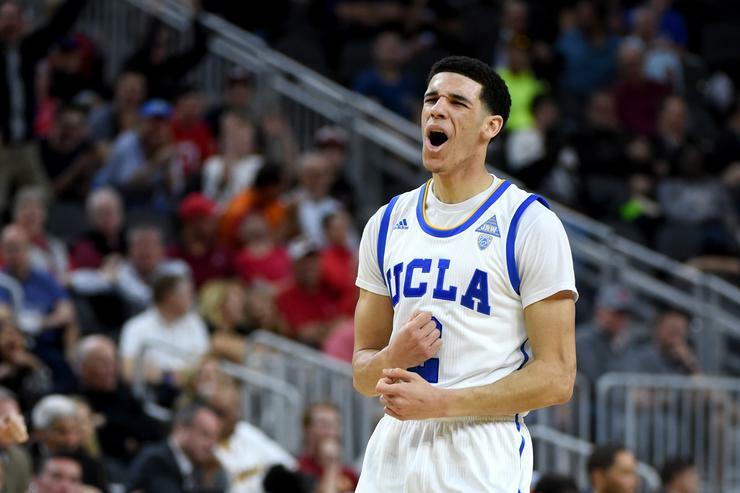 While many worried that his father's exuberance would ultimately affect his eldest son's career prospect, it would appear that Lonzo's skills on the court have transcended all that. In fact, when you look at the Ball family's growing Big Baller Brand business, plus their recent reality TV show Ball In The Family, it's hard not to respect at the Ball's home-grown empire being built before our very eyes. And while notorious patriarch LaVar Ball has largely been seen as the public voice of the Ball clan, Lonzo has certainly stirred up his fair share of publicity, especially when he dives into the hip-hop game. As Drake once said "Damn, I swear sports and music are so synonymous, Cause we want to be them, and they want to be us." While this may not exactly be accurate for the NHL, it's certainly rings true in the NBA. Basketball players have often dabbled in hip-hop, with players like Kobe Bryant, Allen Iverson, Kevin Durant, Damial Lillard and of course, the illest of them all, Big Shaquille O'Neal. It would appear that Lonzo Ball seems keen on joining his predecessors, with an increasingly public input as a hip-hop taste-maker and aspiring rapper. While Lonzo's career has only begun, it seems as if every time he publishes a thought on hip-hop, a discussion has ensued. Plus, the baller has occasionally hopped on a beat to kick a freestyle or two, including Drake's "Free Smoke." No matter which way you see it, Lonzo seems destined for a hip-hop career, at least to some capacity. On that note, here are five of Lonzo's best hip-hop moments. When 21 Savage and Jay-Z both dropped albums in June (Issa & 4:44, respectively) Lonzo Ball went against the grain with this controversial declaration. While he ultimately got clowned by nearly every incredulous meme in existence, the statement foreshadowed Lonzo's status as a champion for the new generation of hip-hop. Back in May, Ball surprised his fans by hopping on Drake's "Free Smoke" instrumental to deliver a lengthy verse. While many were probably eager to hate, Ball surprised the doubters by defying expectations. He was actually pretty slick, and came through with a solid flow and some decent lyrics. Who knows, if it doesn't work out with the Lakers, he probably has at least one mixtape in him. While Ball's comments do shine a light on the problematic nature of the phrase "real hip-hop," let's leave Nas out of this. Nas has earned the right to be unanimously respected for his contributions to the game, and lest we forget, Ghostface Killah got at Action Bronson for comments of a similar nature. As you can see, Lil Wayne sits comfortably as Lonzo's GOAT, followed by Future, DMX, 50 Cent and Pac. Interestingly enough, only one of those artists really started popping in the so-called "new generation." The inclusion of Pac and DMX is also noteworthy, as both of those artists dropped their strongest material in the nineties. Perhaps Lonzo's hip-hop tastes are more wide-ranging than his television persona may suggest. Today, Lonzo's current pinned Tweet is a video which finds him and his squad sitting in a car, engaging in the timeless art of "freestyling," while Melo pulls out a seemingly infinite supply of shoes in the backseat. The cypher is the result of the formerly viral "So Gone" challenge, which found countless people dropping verses over the Missy Elliot produced Monica banger.